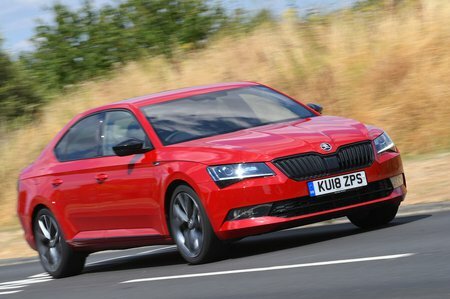 Skoda Superb 2.0 TDI CR Sport Line 5dr 2019 Review | What Car? What Car? will save you at least £2,541, but our approved dealers could save you even more. This is based on SE trim but is for those who like a sporty look, so it comes with bigger 19in alloy wheels, Alcantara-trimmed sports seats, gloss black styling details, a rear diffuser, twin rear exhaust tailpipes and firmer suspension. Unless you’re sold on the looks, it’s hard to recommend because of the price hike it brings, while the dynamic differences from standard models are hard to notice.